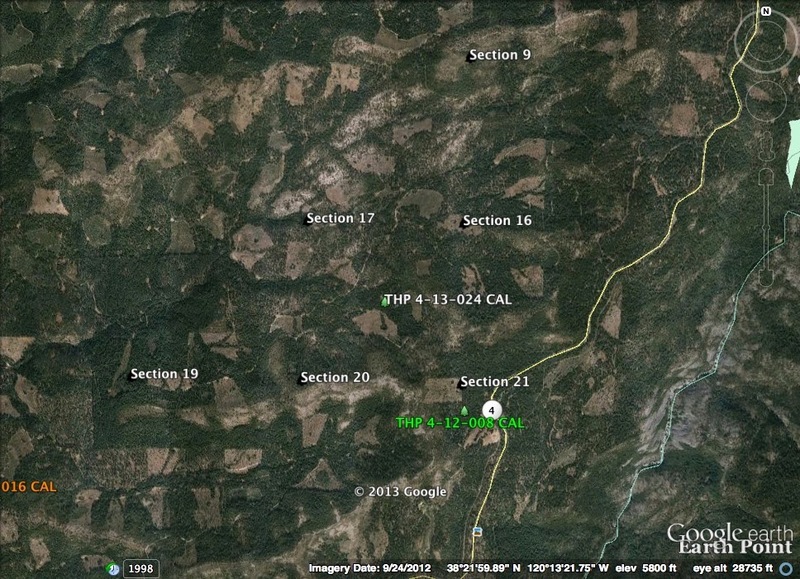 THPBlog: Sierra Pacific Industries to clearcut near the South Fork of the Mokelumne River and Highway 4. Sierra Pacific Industries to clearcut near the South Fork of the Mokelumne River and Highway 4. 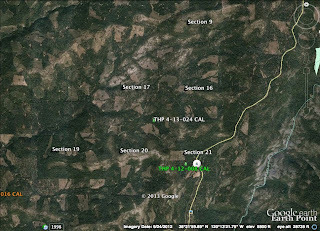 THP 4-13-024 CAL (Blackjack THP) Sierra Pacific Industries, 409 acres; 74% clearcut, 24% no-harvest, 2% selection logging. Airola Creek (MD: T6N R16E Sec.9, 16, 17, 19, 20, 21). Winter operations, moderate erosion hazard, slopes up to 50%, herbicides, 1 goshawk territory within 1 mi, 5 CA spotted owls within 1.3mi, 4 sensitive plant species, trees up to 68" dbh. Estimated public comment deadline: 12/20/13. This THP is 1 mile north of Cottage Springs, CA near Highway 4 and about 8 miles NE of Arnold, CA. The THP area drains into the South Fork of the Mokelumne River and is in an area that has been heavily clearcut in the past. Sierra Pacific Industries is planning a clearcut tractor based logging operation in incense cedar, white fir, sugar pine and ponderosa pine forests at an elevation of 5,200 to 6,200 feet. They are planning to use an excavator for site preparation on slopes under 50%, and on slopes over 30% that lead without flattening to a class II watercourse. 98 acres of so called “operational area buffers” are planned for some limited tree removal outside of unit boundaries, and for the construction of fire lines, tail holds, skid trails, site prep and to access landings, roads, etc. There is 1 goshawk territory in section 20, and threebract onion habitat was reported near units 3507, 3508, 3535 and 3228, Small’s south clarkia habitat was reported near 3105, 3217 and 3530, and scalloped moonwort and Mingan's moonwort habitat was reported near units 3104 and 3228. More information is available on the THP Tracking Center website.